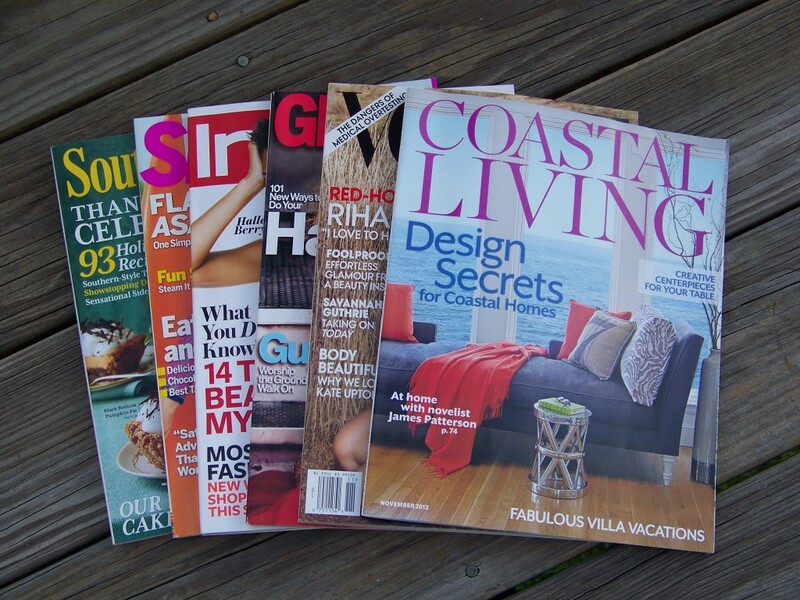 Last weekend, I sat down with the November issues of several magazines. I’ve been a subscriber to Southern Living and Coastal Living for years, but currently I’m also receiving five complimentary magazine subscriptions, so my reading stack is large these days. The cover of Martha Stewart Living looks inviting, laden with sides for a Thanksgiving feast. However, I could feel the inadequacy welling up within me yet again when I read the words “The Ultimate Thanksgiving Dinner.” The inadequacy will go well with the side of panic attack I’m sure to experience should I ever attempt this. Not to worry. 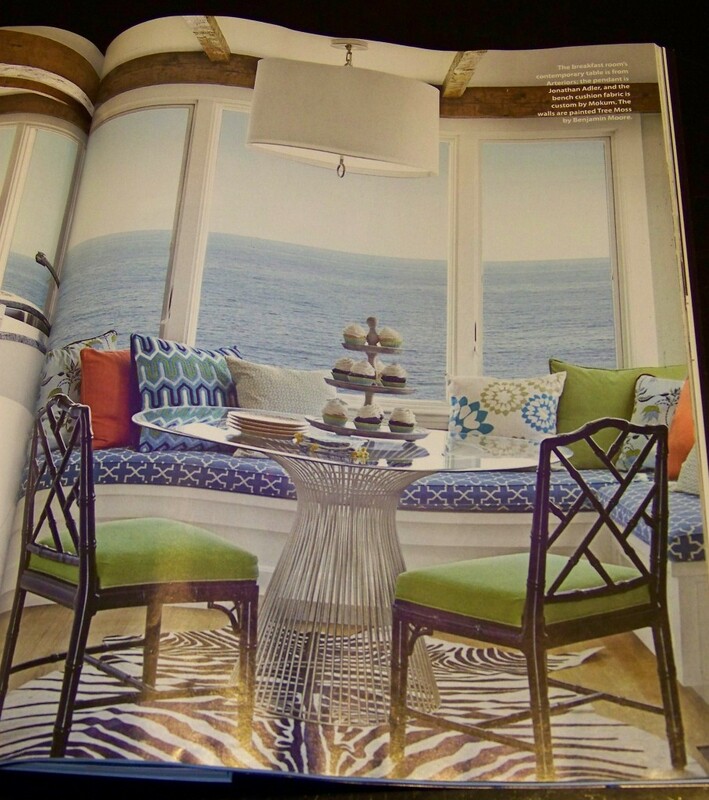 Southern Living came to the rescue with these words: “Casual entertaining puts everyone at ease.” I’ve decided to substitute the word “minimal” for “casual” here as I feel the two words are synonymous. (Naturally, I would not accept the two words as synonyms in the vocabulary tests I give my students, but it serves well for loafing blogging purposes.) This, I feel, validates my Thanksgiving entertaining belief system. Chiefly, I believe that dollar store napkins with turkeys on them cover for a multitude of culinary sins irregularities and/or a general lack of effort on my part. Upon reading InStyle, I have discovered that I am not. It’s a low blow for one so easily self-duped. Rihanna looks gorgeous on the cover of Vogue, but whatever it is that she’s wearing in this picture puzzles me a bit. It’s Vogue, so I’ll bow to their fashion acumen any day, but why anyone not living on Mars would intentionally wear this is mind-boggling. Just saying. Glamour had me all jazzed up about the article “What to Eat for Amazing Skin.” That is, until I read the list of things you have to eat or avoid eating for amazing skin. (Don’t talk to me about how chocolate’s potential for exacerbating acne is back on the table for research. I, for one, fully support the perhaps faulty research of the 70s that found no connection.) In summary, other than forgoing hot dogs and cooking with olive oil (already done), it’s not worth it. So here I am, hoping that amazing skin is overrated. I love the body bonus that appears to be a regular feature in Self. The body bonus is a page of perforated cards with a series of new exercise moves to try out. To date, I haven’t actually gotten to the tricky try-them-out part, but I do remove the cards with regularity, which makes me feel accomplished. In a move that can only be described as unmatched brilliance, Coastal Living merged two incredible worlds: the world of the beach and the world of cupcakes. I can think of few finer marriages. This is especially true if the cupcakes are chocolate ones. What about you? Have any open-for-discussion topics you’ve gleaned from your recent readings, magazines or otherwise? Do share; I have two or three weeks before my December issues provide new fodder. Well, Family Fun is now telling me I have to buy expensive craft kits to be crafty, which I am not (crafty or buying expensive craft kits). Better Homes and Garden thinks I can make an easy pie crust for a multi-hyphenated-ingredient pie. Clearly, they’ve never seen me make/decimate/maul a pie crust. Also, pecan pie works just fine in my world, thank you very much. Southern Living mentioned the possibility of a road trip with my girl friends. Uh-huh, as soon as the kids leave for college or the car seats get removed from the van, which may be at the same time these days. Although, they had a really nice cake recipe that actually looked doable (since it didn’t involve a pie crust). That’s what I’ve been reading while hiding in the bathroom eating the Halloween chocolate. 1. No to expensive and/or complicated crafts kits here too. 2. I could write a series on “I’ll take up your entire afternoon” recipes masquarading as “easy” recipes (as opposed to what exactly, I always wonder). 3. You can’t take regular road trips with your girlfriends? I do all the time, in the world I’ve created in my mind. 4. Can’t tell you how much the car seat comment made me laugh. And truly, by the time your kids are in college, they may have just removed the age/size cap entirely and added car helmets. 5. Have you tried the distraction method? Like, “Kids, look, Grandma’s riding an alligator in the marsh!” right before you quickly scarf a piece or two? I’m highly skilled in this method, in case you want tips.